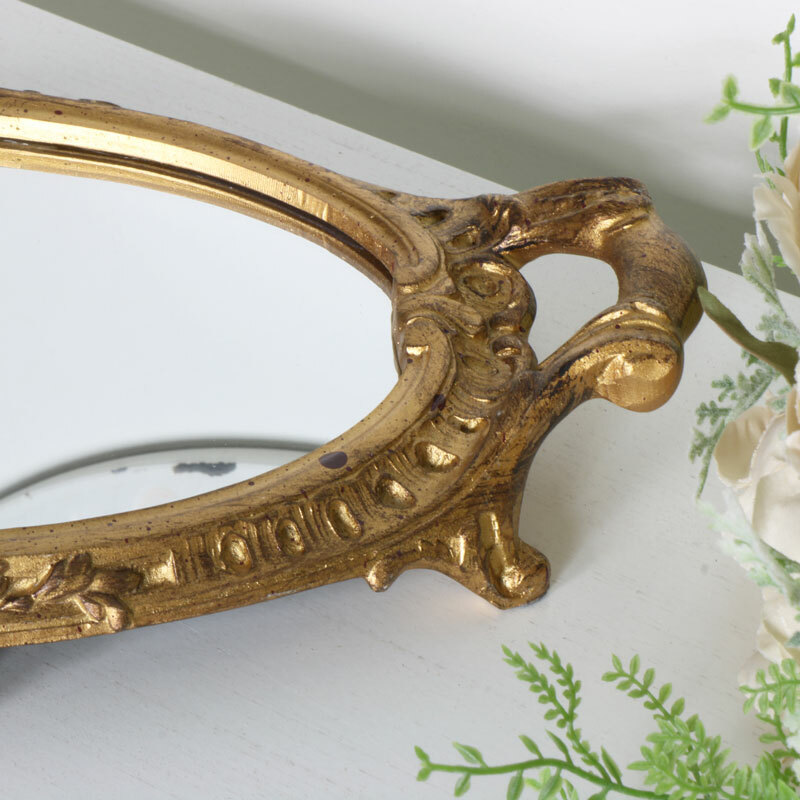 This beautiful gold mirrored tray will make the perfect display stand for ornaments and trinkets. Perfect for use at weddings or dinner parties. Ornately detailed in class French style. This tray makes the ideal display stand for all those trinkets, ornaments or your favourite perfumes. This tray would also make a fabulous display stand in a fancy boutique. We have even more mirrored display trays in a variety of colours and finishes. 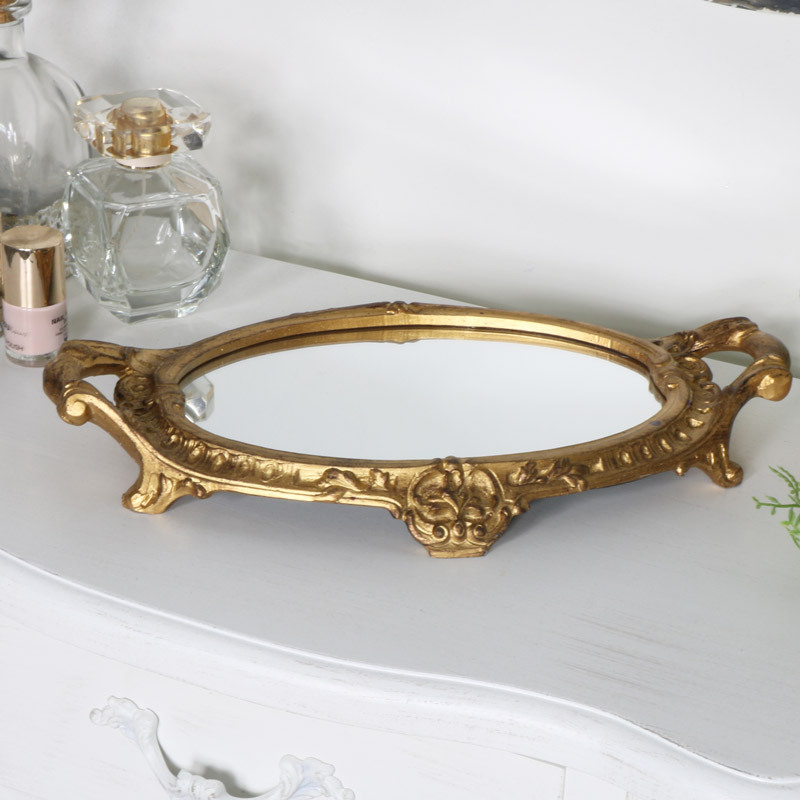 This beautiful gold mirrored tray will make the perfect display stand for ornaments and trinkets. Perfect for use at weddings or dinner parties. Ornately detailed in class French style. This tray makes the ideal display stand for all those trinkets, ornaments or your favourite perfumes. This tray would also make a fabulous display stand in a fancy boutique. We have even more mirrored display trays in a variety of colours and finishes. Made with a resin frame in a rich gold finish and gold distressing. With more trays available for you to choose from, adding that finishing touch to your home decor has never been easier.